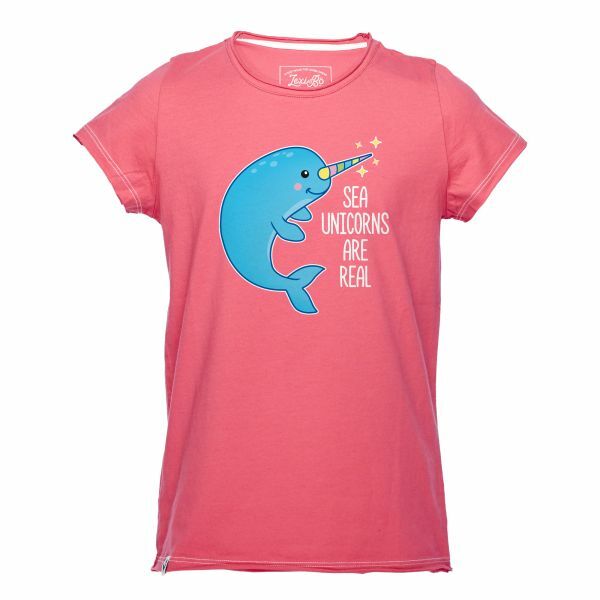 Details "Sea unicorns are real Girls T-Shirt"
Your child loves unicorns? Then this shirt will definitely conjure up a sparkle in your kids eyes and a big smile on your face too. Because unicorns really exist! Our Lexi&Bö Sea unicorns are real t-shirt for girls surprises with its blue unicorn whale design and the white lettering on a pink-colored fabric. The cut-out fabric at the hem gives the shirt its cool used look. 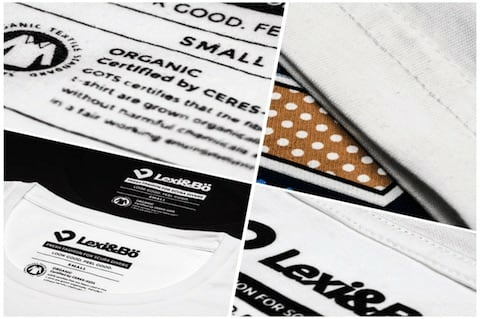 Not only the subject of the chemical free and eco-friendly printing ink seams like a fairytale, but also the delicate fabric of 100% organic cotton. 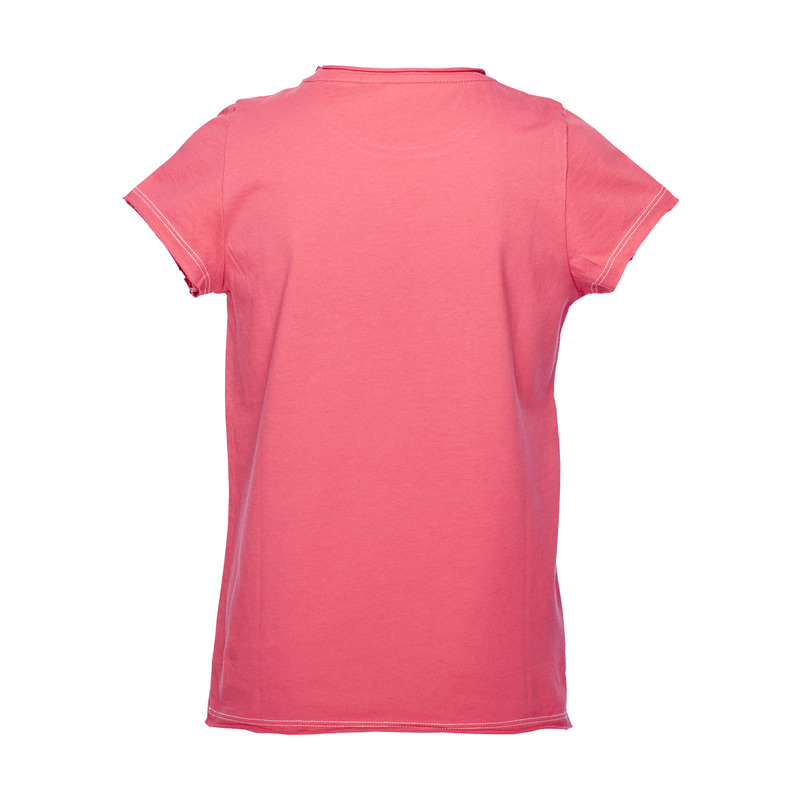 The high quality fabric is very durable and lies with its loose cut lightly on the skin. So your child can enjoy everyday life carefree. 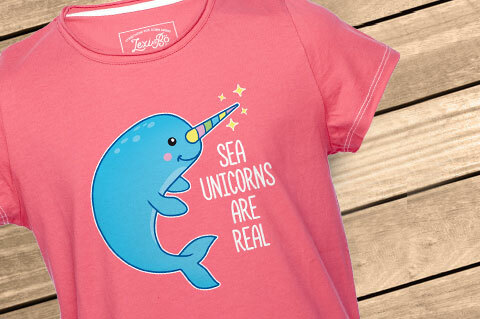 Customer evaluation for "Sea unicorns are real Girls T-Shirt"
Wunderschöner Stoff das Motiv auch ganz lässig getroffen. Als Weihnachtsgeschenk einfach perfekt. Wird sicher nicht das letzte Shirt sein.